Isolation Technology – Messplay Machinery Co. Isolation Technology is the expert source for vibration isolators, soundproofing and vibration control. 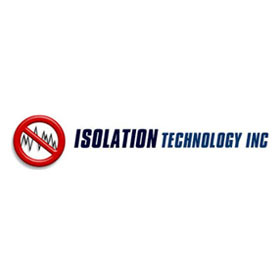 Formed in 1989 Isolation Technology continues to offer extensive experience and expertise in the field of noise control and vibration isolation. Through state of the art product engineering and services Isolation Technology provides first class solutions to all your vibration and noise control needs.